ROCHESTER HILLS, MI, 11/15/16 – Dataspeed Inc attended the first European Track Days event in Bruntingthorpe, UK. Roboticists, researchers, technologists, R&D engineers, students, and representatives from two major car manufacturers attended the first open testing event for driverless cars. 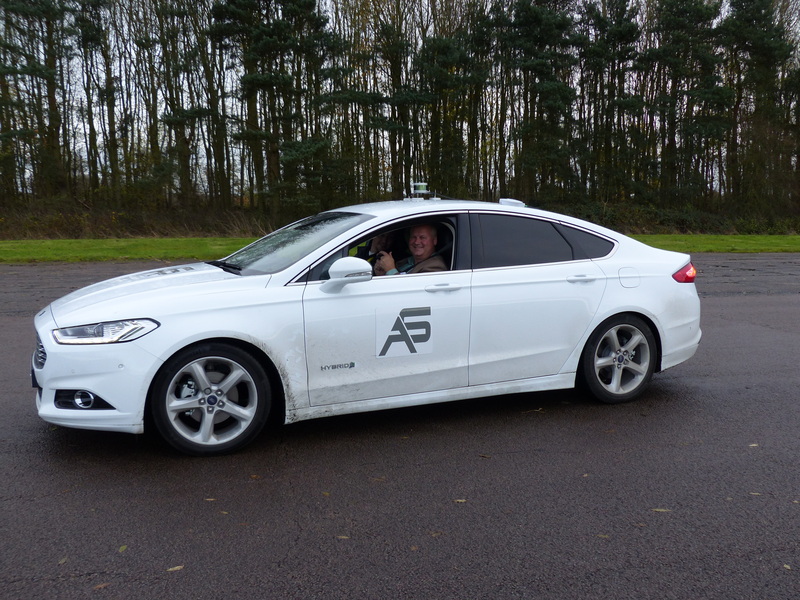 Dataspeed Inc outfitted a Ford Mondeo Hybrid (the European equivalent of a Ford Fusion Hybrid) using the ADAS Kit to be by-wire enabled. The ADAS Kit is a complete hardware and software solution that allows seamless control of throttle, brake, steering, and shifting. It also allows for control of the sensors and computers while accessing data on vehicle networks. Dataspeed’s partner, AutonomouStuff, supplied some of the sensors that were used, including a Velodyne and Mobileye. Test drives of the Ford Mondeo Hybrid were provided for all in attendance. The European Track Days event was Dataspeed’s first venture into the European market with the ADAS Kit. Overall, it was very well received! Attendees concluded the technology works as safely and reliably in Europe as it does in the United States. While in Europe, founder, CEO and President, Paul Fleck had two interviews with the BBC. During one of the interviews, Fleck had the opportunity to demonstrate the functions of a driverless car to a person with limited mobility. This demonstration illustrated the safety, reliability and the new-found functionality that the ADAS Kit provides. Dataspeed is excited to continue its pursuits in Europe. There will be three more track events within the next six months. Dataspeed will be attending the next event with a driverless car demonstration vehicle. Be sure to check them out on February 21-22, 2017 in Marseilles, France.